This year sees the 25th anniversary of the Tes SEN Show. Taking place at the Business Design Centre in London, the event features more than 40 CPD seminars, a number of free practical workshops led by exhibitors, and a keynote panel debate focusing on current SEN issues, including the implications and impact of the Rochford Review. The opening keynote at the show will feature a panel debate focusing on the landmark Rochford Review and its impact on educational settings, among other SEN issues. The 2016 Rochford Review was a review of statutory assessment arrangements for pupils working below the standard of national curriculum tests at key stages 1 and 2. After this review, in March 2017, the Department for Education (DfE) launched a public consultation on the future of primary assessment in England. The debate will feature representatives from the DfE, National Association of Head Teachers, charity Made by Dyslexia, Ofsted and the deputy chair of the Rochford Review Janet Thompson (Auditorium, 9:45 to 10:45am, Friday, October 6). The primary sponsor of this year’s show is Prospero Teaching and the show will also feature an address by former schools minister Lord Jim Knight who will open proceedings at the start of the first day. 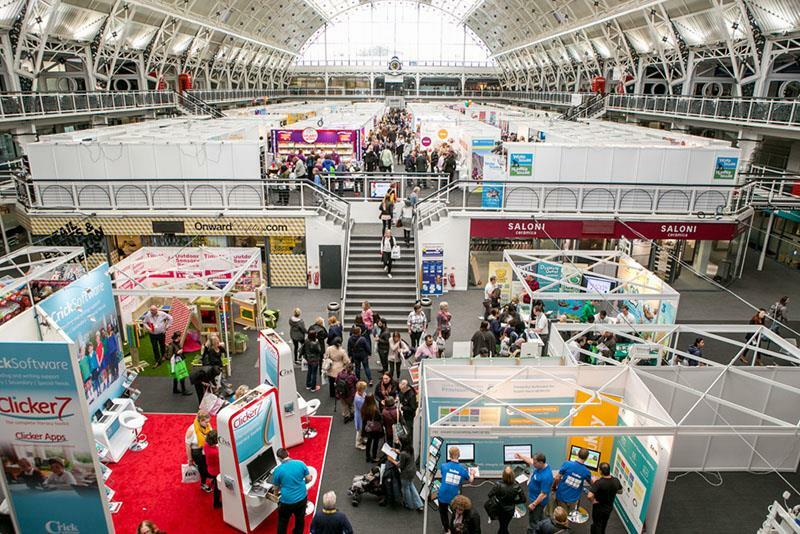 There are 42 CPD seminars taking place at the show, focusing on specific SEN, government policy advice, assessment, behaviour management, and other areas. The seminars offer practical applications and techniques and more than half relate directly to the SEND Code of Practice 2015. Engagement in the Rochford Review – from policy to practice (Professor Barry Carpenter): The Rochford Review proposes a new approach to assessing children with SEND, central to which is the principle of engagement. Prof Carpenter will explain his research and the importance of the Engagement for Learning Framework in raising standards of teaching and learning for all learners with SEND. The needs of the new generation of children with complex needs will be considered. All key stages. The dyslexic brain (Dr Duncan Milne, educational neuropsychologist): Research into developmental dyslexia will be reviewed, and causes of dyslexia, subtypes of dyslexia and dyslexic intervention discussed. Application to classroom practice will be discussed in terms of prevention and intervention, and the targeting of specific weaknesses when developing such programmes. Key stages 1 and 2. Role of the SENCO in evaluating SEN provision and outcomes (Natalie Packer, independent education consultant): Discover effective ways of reviewing and evaluating the quality of provision and outcomes for pupils with SEN within a mainstream school. The session will highlight the role of the SENCO, working alongside other leaders, in developing a whole-school approach to SEN review. Guidance will reflect expectations within the Common Inspection Framework and recommendations around the peer-review process. Key stages 1 to 4. Writing skills for reluctant writers – especially boys! (Neil Mackay, director, Action Dyslexia): Reluctant writers have all the ideas and skills they need to write effectively, but struggle with processing, sequencing and memory overload. This practical session demonstrates how simple tweaks to current practice support students to write as well as they talk. Key stages 1 to 4. Rethinking the role and impact of teaching assistants in inclusive classrooms (Rob Webster, researcher/director, MITA, UCL Institute of Education): Exploring ways in which schools can evaluate their practice against the evidence, highlighting practical tools and resources, this session aims to “tool up” school leaders and SENCOs and equip them to make informed decisions about effective teaching assistant deployment and SEND provision. Key stages 1 to 4. Appealing to the SEND Tribunal – an effective approach (Jane McConnell, judicial lead, First-tier SEND Tribunal): An overview of the effective approaches that local authorities and parents/young people should consider adopting when appealing to the SEND Tribunal. All key stages. Sustaining SEND reform – SENCO challenges and solutions beyond 2018 (Christopher Robertson, SEN and disability independent academic and honorary lecturer, University of Birmingham): Consideration will be given to challenges faced by SENCOs during the transitional phase, due to end in April 2018, of implementing the Children and Families Act 2014. Possible solutions to the challenges, and methods of support will be identified. All key stages. Whole-school self-evaluation of SEND (Kate Browning, independent SEND consultant): The SENCO has a pivotal role to play in monitoring and evaluating the effectiveness of the school’s SEND provision and practice. This seminar will provide SENCOs and senior leaders with a structured approach to the SEND self-evaluation process and a framework for sharing success and planning improvements. Key stages 1 to 4. Moderate learning difficulties – a thing of the past? (Jane Friswell, SEND consultant): Moderate learning difficulties (MLD) is a term specific to pupils who experience a level of learning difficulty, which SEN support should be able to provide. The term MLD has fallen out of use – why? Where are the children and young people to whom this is relevant? Is the support we offer in mainstream provision meeting the needs of those with MLD? All key stages and further education. The importance of early experiences in developing a strong foundation for social and emotional wellbeing and mental health in the early years (Julie Revels, early years SEND trainer and consultant): How to identify and meet the wide range of social, emotional and mental health needs of children in the early years. The EYFS. Working memory: the new IQ in learning (Tracy Packiam Alloway PhD, psychology professor and graduate programme director, University of North Florida): Some students have poor working memory, as well as a learning disability. This talk discusses strategies and interventions to boost working memory in those with language and maths difficulties, ADHD, autism and motor difficulties. Key stages 1 to 3. Feeding your seahorse: how to help children manage stress (Charlotte Bjerregaard, psychologist, Familiepsykologisk Praksis, Denmark, and Pernille Thomsen, associated professor/physiotherapist, University College Copenhagen): New interdisciplinary work between psychology and physiotherapy focusing on treating children suffering from stress and anxiety is based on evidence-based practice and involves neuroanatomy, neurophysiology and cognitive psychology. Charlotte and Pernille will present the science behind stress, how stress is experienced in the body and mind of the child, and how intervention involving body and mind shows promising results. All key stages. The role of SEN governor (Kate Browning, independent SEND consultant): This seminar will explore how the SEN governor can work with the SENCO to provide visible support, challenge and strong strategic leadership for SEN. Key stages 1 to 4. Strategies to manage ADHD in the classroom (Colin Foley, training director, ADHD Foundation): The presentation will look at four key themes in managing ADHD in the classroom, starting with a brief outline of the principal challenges of the condition and then will focus on the following, offering strategies for teachers: the centrality of reward; minimising peripheral distraction; concentration practice; and the importance of movement and activity. Key stages 2 to 5. Whole-school SEN provision (Pat Bullen, SEND consultant): This session will enable delegates to focus on the implications for schools, academies and local authorities in planning and delivering whole-school inclusive SEN arrangements, including opportunities to consider “wider outcomes” as described in the SEND Code of Practice and Ofsted framework. All key stages. SEND in the early years: improving outcomes through workforce development (Alex Grady, education development officer, nasen): To increase access and improve outcomes for children in the early years with SEND, it is crucial to develop the skills of the whole workforce, in schools, nurseries, playgroups and among child-minders. In this session, Alex looks at how to improve practice. The EYFS and key stage 1. Appealing the content of an Education, Health and Care Plan (EHCP) – top tips (10:45am, Friday, October 6). Access Arrangements: Reduce the workload (12:45pm, Friday, October 6). Using formative assessment to identify and support pupils with barriers to learning (3:45pm, Friday, October 6). Behaviour management techniques that work (12:45pm, Saturday, October 7). How to gain QTS while continuing to work in your SEN school (2:45pm, Saturday, October 7).